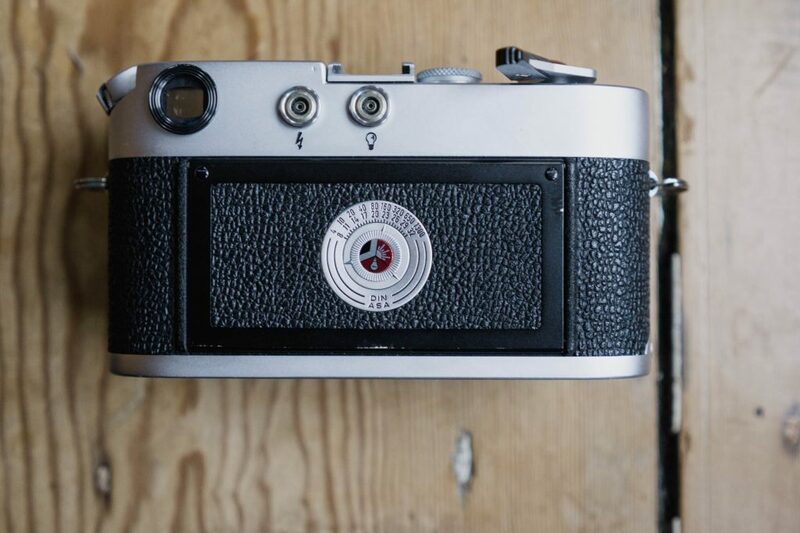 The Leica M4 in many people’s eyes is the last of the classic Leica rangefinder cameras. In fact, if you spend any time reading around forums and websites looking for opinion on this camera, you’ll find it holds the prize with many as being the ultimate Leica M camera. 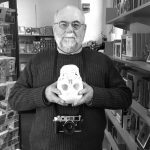 I’m not so sure myself – all of the models have their hardened fans – but looking back at the features and the history of the Leica M, it’s easy to see how people come to some of the justifications and positive views held about the Leica M4. 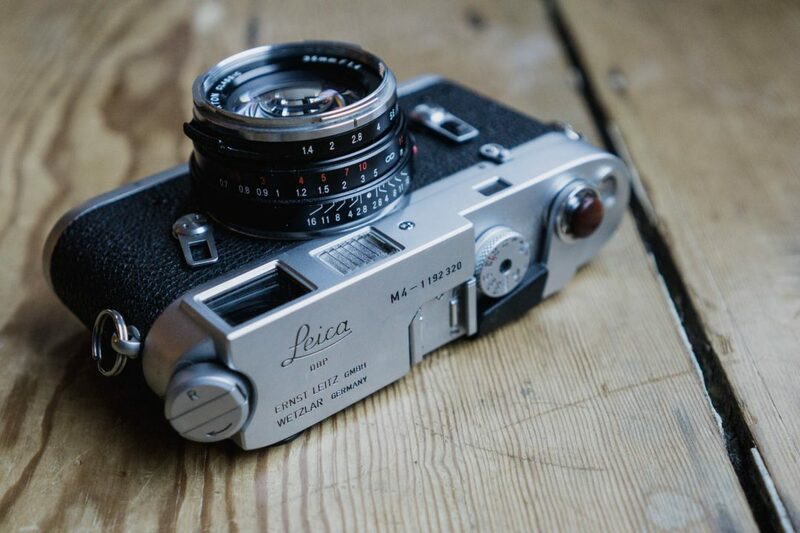 If you are unaware of the history of the Leica rangefinder, the M4 pretty much superseded both the M3 and M2. 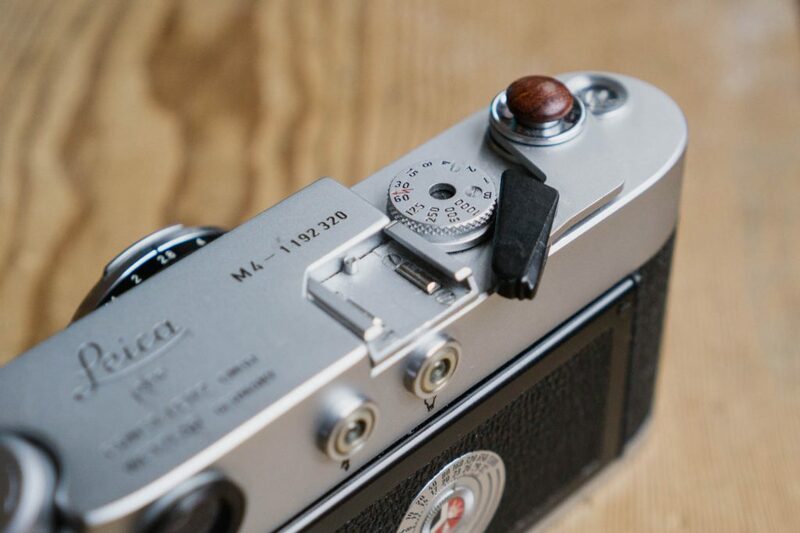 The Leica M3 was originally released in 1954, with the M2 following in 58. 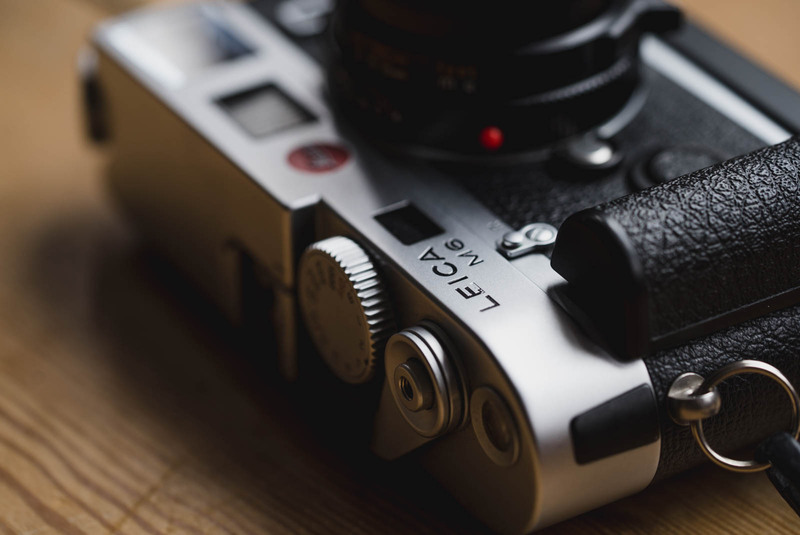 The Leica M2 was designed as a cut cost, more accessible and slightly more versatile version of M3. Production of the Leica M4 started in 1967 after the M3 ceased production in 66 and the M2 in 67. It took the best features of both M3 and M2 cameras and combined them with new advancements of its own to create what, as mentioned, some view as the ultimate classic Leica. Of course, since then we’ve also seen the M5, M4-2, M4-P, M6, M6 TTL, M7, MP and M-A; and that’s just the large-scale production models – there are a whole bunch of other rarities (the M2-R for example) to choose from too. So what would make one choose the M4 over any of the other models? Well, as I talk about in the preamble to my M2 review, seeing as so many of the range are so similar to each other, on paper it just comes down to a combination of budget and preference for fairly minor differences. Of course, with Leica cameras, there’s sometimes a bit more than just what’s on paper… The question are then, what are the minor differences the Leica M4 provides, why would someone choose one over the other models, and what else might swing it into favour? 1.1.2 Clumsy loading equals no photos? 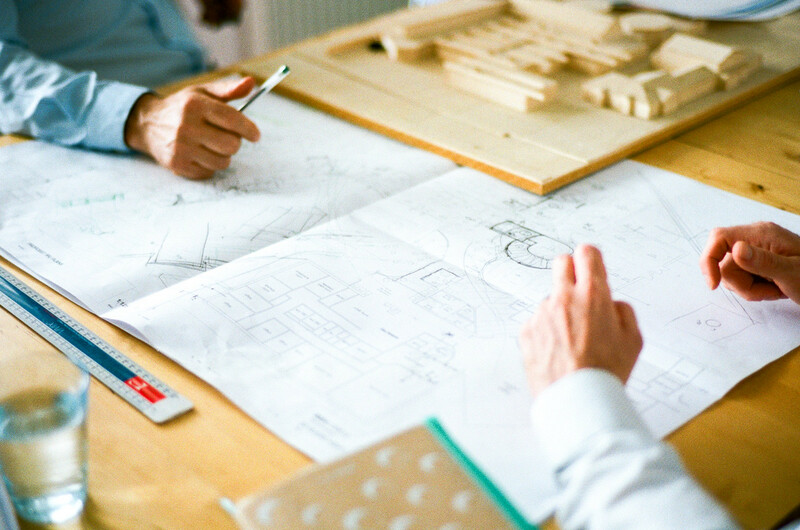 The most obvious place to start with the Leica M4 is to look at the specifics of how it was designed to be an advancement upon what came before. The most simplistic way to view at least a couple of it’s advancements is to simplify them to their core purpose. It appears evident to me that one of the biggest goals of the design of the Leica M4 was for it to be quicker to use than the models that came before it. There are two key ways in which the M4 is faster to use than the M3 and M2, the first is in the process of loading camera, the second is in the unloading. Loading the older M3 involves taking the bottom of the camera off, removing a take up spool (which automatically resets the frame count) and pushing the end of the film into the take up spool. You then need unspool just the right amount of film from the canister, then insert both film canister and take up spool into the camera parallel to each other. You then need to make sure the film is located properly, close the back of the camera, attach the bottom plate and finally shoot and wind on the camera a couple of times to make sure fresh film is in front of the film gate and the counter is set to zero. This sounds like a faff, but really it’s fine when you get used to it, it’s just not a particularly quick process. To load a Leica M4, you simply remove the bottom plate – which automatically resets the shot counter to zero – open the back, pull out a length of film long enough to sit within 3 prongs of the new take up mechanism, insert the film into the bottom of the camera, ensure its located properly, close the back, attach the bottom and shoot and wind the film until the counter says zero. Even though it still takes me a fair few words to explain it, there is no doubt that this process is quicker. It’s also preferred by what I’d guess is the large majority of Leica rangefinder photographers. Not only this, but this loading mechanism is still used all these years later within current production models. Clumsy loading equals no photos? For some reason, some people don’t like this mechanism over the earlier removable take up spool. This seems to revolve around the idea that it’s easier to not load the film properly. Personally I can’t fathom this. There’s not been a single occasion that I’ve loaded a roll of film into a Leica with a 3 pronged take up mechanism and it’s not loaded properly… And even if this did happen, I’d be able to see the film wasn’t loaded by the fact that the rewind crank doesn’t rotate when I actions the film advance. Which brings me neatly to the second speed increasing advancement of the Leica M4: The rewind crank. The earlier M3 and M2 are rewound using a knurled knob that’s pulled up and rotated between the thumb and forefinger (there’s a fun sentence for you!). 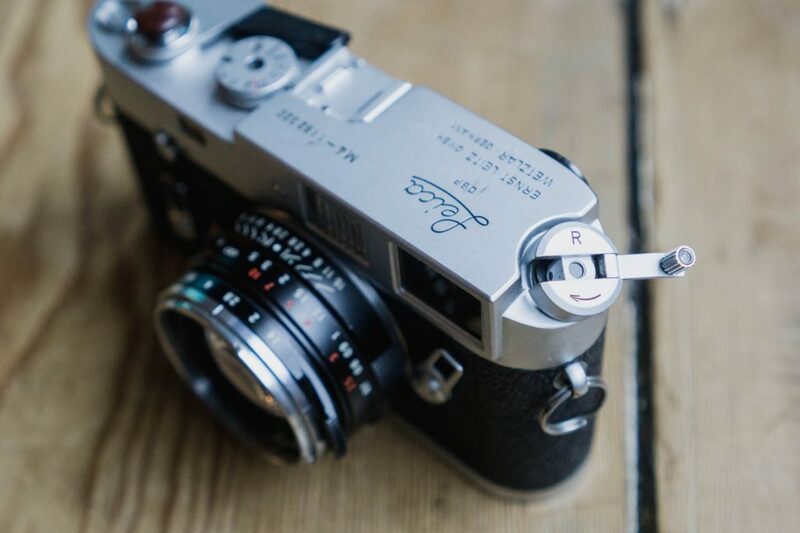 The Leica M4 makes use of a crank that flicks out from a larger rewind knob making it quicker, easier and less fiddly to rewind the film. There’s another feature of the Leica M4 that didn’t make it onto the late MP or M-A too, and that’s the plastic tipped film advance. The earlier models have all metal film advance levers, which again were readopted in the latest current models. Though admittedly, once again, this is likely for aesthetic reasons as much as anything else. The plastic tipped film advance of the Leica M4 is actually a pretty clever design. 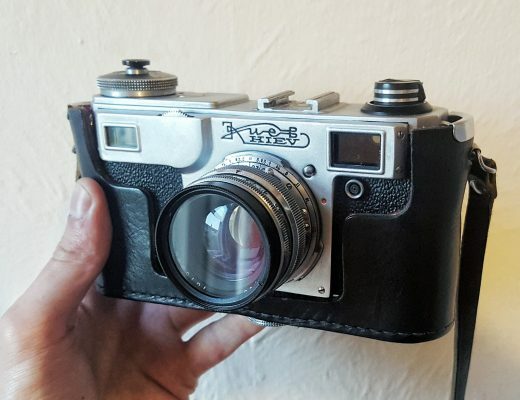 If like me you carry your all-metal-film-advance-Leica rangefinder camera on a fairly long strap, you will know of the fairly infrequent but nonetheless irritating sensation of the metal grip of the advance jabbing you in the hip bone. The beauty of the plastic tip of the M4 lever is that it folds neatly away meaning it can’t jab you. Yet despite it being foldable, it still feels like it’s in the right place to quickly advance the film when you’re shooting. This is definitely a good bit of design, but of course it’s also made of plastic, which whilst more trendy and cutting edge in the late 60’s, feels comparatively cheap in a world where plastic is more commonplace, and perhaps less associated with luxury. I suppose this is why there’s been some return to metal tipped levers in the later cameras. The metal looks nicer, and some would probably argue is nicer to use, it’s just not quite as an intelligent a design. Personally, I like my Leica parts made of metal – that maybe makes me a snob though…? Fortunately, short of two very small plastic covers on the frame line preview and self timer levers, there wasn’t any other major use of plastic as a material within the Leica M4’s design – at least not that I can see. In fact, most of the rest of the camera is a combination of the best of the design features found on the previous two cameras, with the basic body shape being that of the more clean lined shape of the M2. Of course for many peoples tastes it’s not what’s on the outside, it’s what’s on the inside that counts. After the M4 came the M5. 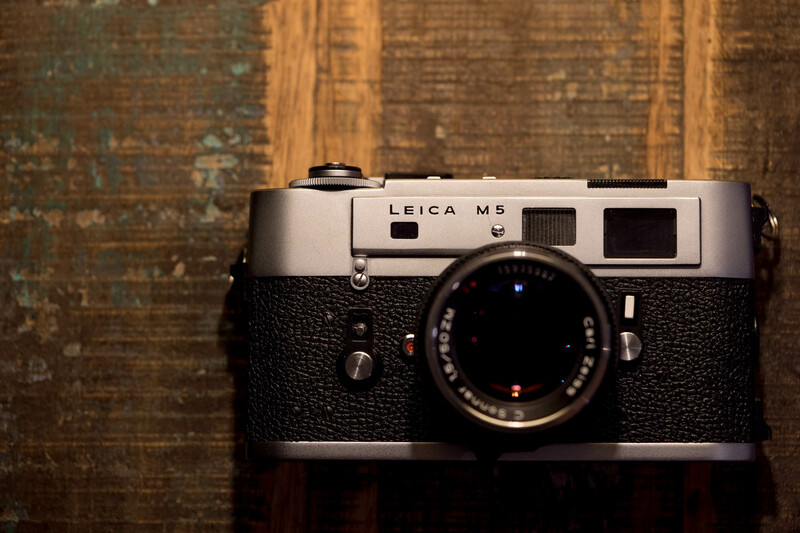 The M5 is an awesome camera, especially by the standards of many Leica shooters these days. Unfortunately for Leica, in its day it was a flop. It’s failure forced Leica hand in moving their camera building operation over to Canada and to start using less expensive metals and precision machining to build their cameras. The cameras that came before this move – the Leica M4 included – were made using hand selected brass components that were matched perfectly to each other part within the camera to make for the highest quality and smoothest possible operation of the camera. For many this was a cut off point – what came before the M5 was a proper Leica, what came after was a little less special. Personally, though I can feel the difference between my new M-A and old M3, I don’t find the difference to be something I could use as means to choose between the two – and as I have said countless times on this blog, one of the smoothest feeling leicas I have ever used is my mate Alex’s Canadian M4-P. To my mind, all of these are precision machines that feel nigh on perfect to use. Regardless, the early manufacturing methods with which the M4 were built remains a factor by which the M4 is judged positively. One quite significant way in which features from the two previous models were combined in the Leica M4 is viewfinder and frame lines. 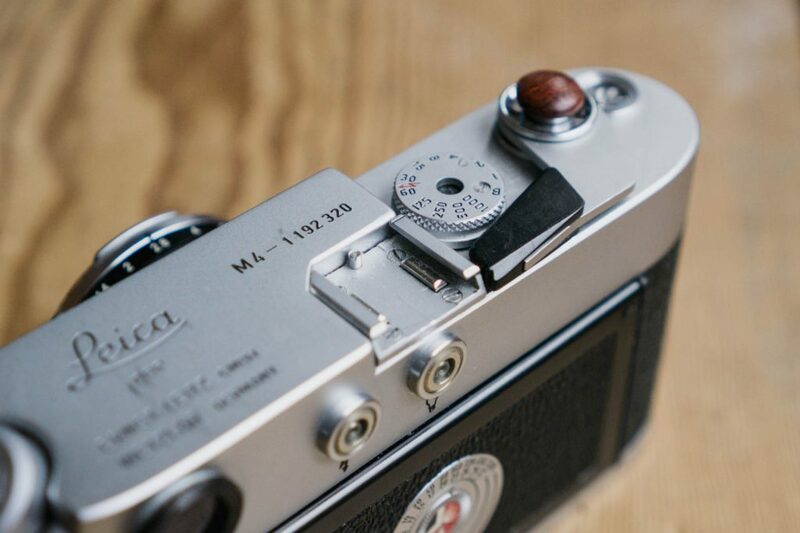 The Leica M3 was called as such because it was designed to work with 3 focal lengths: 50mm, 90mm and 135mm. Or at least, these were the frame lines contained within its viewfinder. The M2 broke this naming convention straight away as it still included three sets of frame lines, though these were 35mm, 50mm and 90mm. Even to this day, the viewfinder in the M3 is regarded as one of the best rangefinder viewfinders if you wish to shoot with a 50mm lens. It has a high 0.92x magnification which gives it the longest effective base length of any M-mount Leica rangefinder. As well as this, the 50mm frames fill a large percentage of the width and height of the viewfinder. 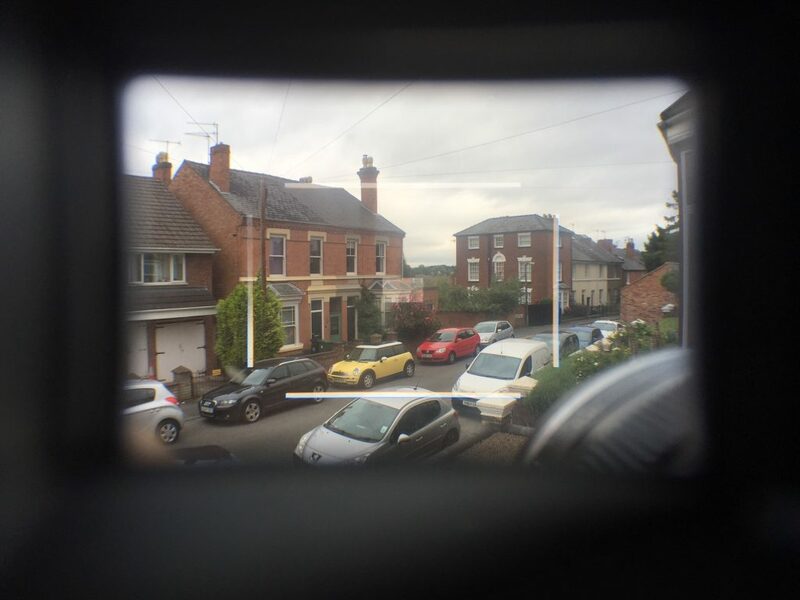 The problem is, if you want to shoot a 35mm lens on the M3 you either need to use an external viewfinder or use a lens with a pair of special attached “goggles” to change the magnification of the built in finder. The Leica M2 was the first Leica to use the now much more commonplace .72x viewfinder. 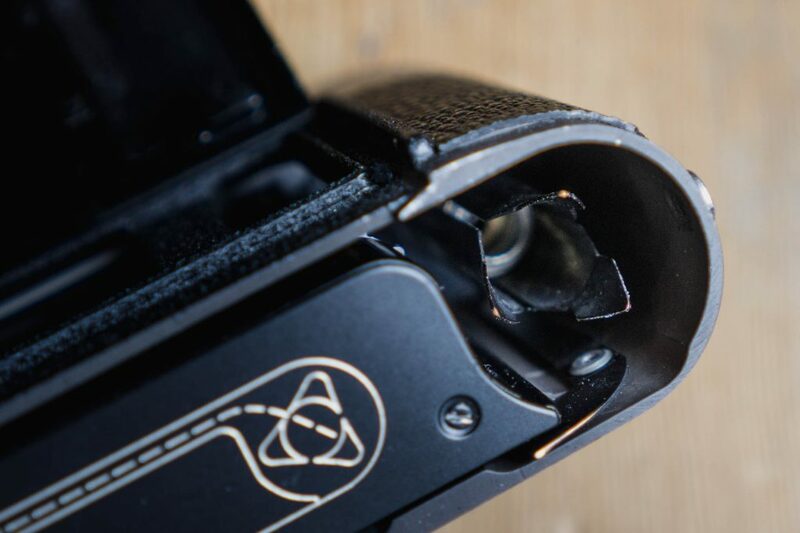 The .72x mag allows for wider angle frame lines to be included in the viewfinder. In the case of the M2 this was the 35mm lines. Unfortunately for anyone who shot a 135mm lens on an M3, they would have found their lens not supported by the M2. The Leica M4 took the framing lines from both cameras by including the 135mm lines as a pair with the 35mm lines. Technically, it also therefore temporarily brought back the naming convention by having 4 sets of frame lines: 35mm, 50mm, 90mm and 135mm – though I’m not sure this was necessarily intended. For what it’s worth, I think think the 135mm lines are pretty useless in a .72x Leica – at least without the use of an additional magnifying eyepiece. The M2 finder with its standalone 35mm lines is a wonderful thing too. That being said, the inclusion of the extra lines in the more broadly useful 0.72x finder is a decision based around making the camera more useful to more people, and on that basis it’s hard to argue too strongly with their inclusion. One final point of note to be made about the frame lines in the M4 is their coverage. Comparing the frame lines in the M4 to my M-A there is quite a noticeable difference in the size of the coverage of the lines. The M4 lines frame bigger than the M-A lines. I’ve read something about later lines being more relative to the visible part of a framed slide, thus making later cameras more ideal for shooting transparencies, but I’ve no idea if there is any truth in that. One way or another, later Leicas have smaller coverage frame lines, which whilst fairly insignificant in the grand scheme of things, seems to be one of those subjects that causes a certain amount of debate as to which is better. Funnily enough, once you start shooting with either size of lines, I’ve found you soon forget. Before I get into this part of the review, it’s probably worth while explaining how I came to be shooting this camera. I’ve come to review it through some slightly less conventional circumstances that have meant that I don’t technically own it. It was bought collectively by the readers of this website, with the idea being that I would review it then give it away as part of a competition. The result of this is that I’m writing about a camera that I’ve never had any intention of keeping. Additionally to this, for a long time I’ve felt strongly that I’ve found the right cameras for me in the Leica M3 and M-A. The result of this is that I came at this camera review having already made up my mind about whether or not it’s the right camera for me. I had in fact considered buying a black paint M4 before buying the M-A, but having then borrowed an M-A from Leica I was completely sold on it instead. The reasons for this are quite simple. As I’ve already mentioned, I favour the all metal film advance and earlier style rewind knob. I also wanted the full set of frame lines the M-A has, and – possibly of greater significance than any of the other justifications – I wanted a new Leica of my own. 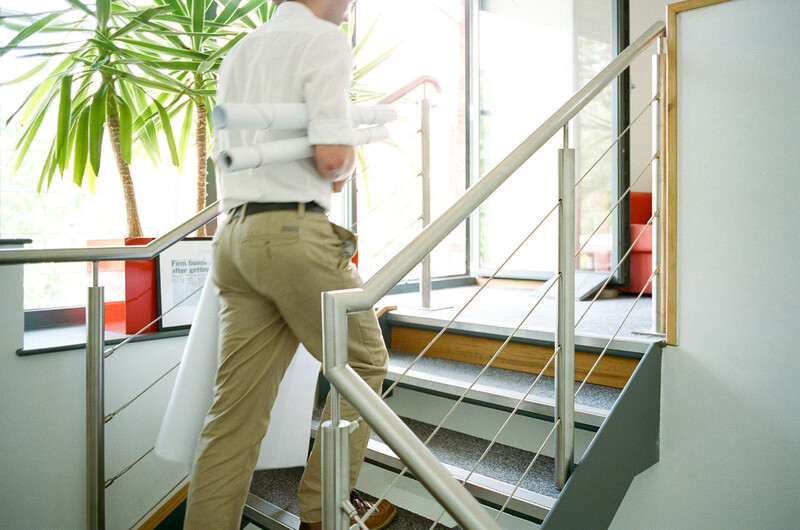 Some might question my logic – in fact some did – but at the end of the day it was my choice, regardless of the smallness of the deciding factors. That being said, one thing I didn’t consider when ruling out the M4 was just how much favour I would find in it were I to use one. Track back a year or so ago to around the time I first used an M-A, I also borrowed a Leica M2 off my mate Ben. The process of shooting this M2 gave way to little doubts about my motivations for buying an M-A. Shooting an M4, I’ve had the same feelings again. When using the M4, it becomes very clear, very quickly why folks love this camera. Setting aside the personal (and fairly insignificant) preferences, this camera feels exactly what it was designed to be – a refined version of the cameras that came before. As mentioned though, there are a lot of cameras that have come since it too – surely there have been improvements made to the design since the Leica M4? Well of course there were improvements made – but “improvements” is a subjective word in this context. The Leica M5 was a massive leap forward from this design. The problem was, people didn’t like it very much. More people seem to find favour in it today with it becoming a bit of a cult classic, but for some (myself included) it just didn’t/doesn’t fit their needs as well as some of the more basic featured cameras. In the context of this post, the really interesting thing about the Leica M5 is that actually its failure appears to have sort of wedged Leica into a groove. Take a look at every other Leica that came after the M4 up until the M7 and they look pretty much the same. Ok, there were advances like further added frame lines, light meters and eventually automation, but largely speaking the cameras remained in the same image, and the advances that did come, came at a glacial pace. Not only did the advances come at a glacial pace, but the features added to later models arguably weren’t “fixes” as such, they were more feature additions. Extra frame lines were useful if you wanted to shoot 28mm or 75mm lenses, but not so useful if you didn’t. Light meters and automation that featured in the M6s and M7 are again features that appeal to those who want or need a light meter or automation, but are needless to those who don’t. The M4 on the other hand had fixed the previously slow loading/unloading, which – whilst some may still prefer the older features and mechanisms – are still more readily identifiable as fixes to issues with the original design. If you look at the Leica M4 in these terms, it almost becomes the boiler plate for all of the cameras up until the M7. Yes there were design tweaks, but nothing in the order of how different the M5 was. The M5’s failure cemented the large majority of the exterior design of the M4 in place for 30 odd years – and for Leica users this was seemingly welcomed. But of course, regardless of what followed, the Leica M4 also has its trump card of having been made in Germany, in the original method of construction, before more cost cutting measures were applied to the design. Outside of the use of less expensive manufacturing methods, later models apparently had parts removed from the viewfinder that made it more likely to flare, and in the case of the M6 plastic was for a time used internally and the top and bottom plate material was changed from brass to more cost effective zinc. Even the method for colouring the cameras black changed from black enamel paint to chemically blackening the chrome. All of these cost saving changes, combined with later features that for many were superfluous, is what must for have made the Leica M4 appear to be the peak of Leica M design. For many years this must have made a lot of Leica users nostalgic for times gone by. To me it appears that this nostalgia, combined of course with the inescapable facts about the quality of the M4 is what has levitated it to its ultimate classic Leica status. So is the Leica M4 ultimate Leica? Well, there are some folks who might like a built in light meter, or more or less frame lines, or a different magnification viewfinder, or (like me) maybe just prefer the aesthetic and feel of the older film advance and rewind knob, and for all of those people there are plenty of subtly different Leica M rangefinders to choose from. In that regard the M4 is just one of a bunch of cameras that might have the perfect selection of features for any given individual. 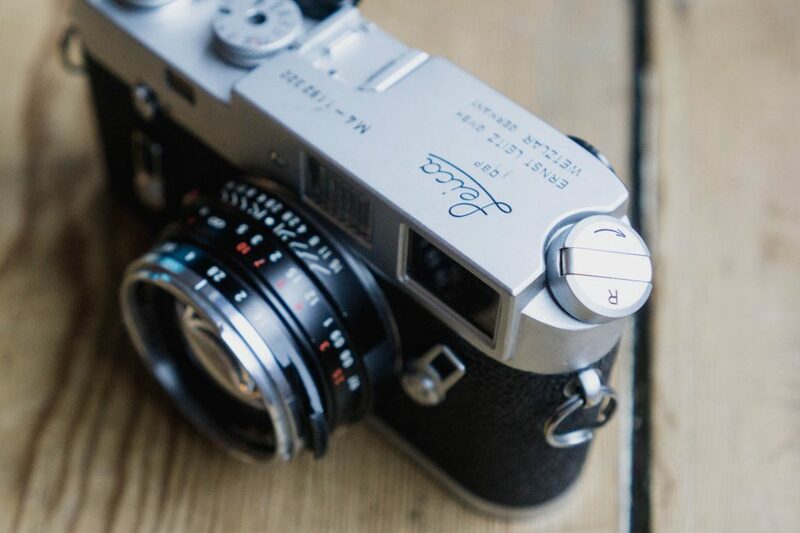 All this choice – as I talk about in my M2 review – is the beauty of the Leica M rangefinder series. But – and this the point I hope I’ve put across through all this waffle of mine – when looking at the path Leica have taken with the design of their cameras and the ups and downs of the history of the range – as I said at the beginning of the post, it’s not hard to see why many would place the Leica M4 on a pedestal above all the cameras that came before, and indeed the cameras that have come since. The M6 never had a zink bottom plate. Zink broke when used in the classic design. Hamish, an interesting “user” insight to the M4. It isn’t a camera I’ve ever used or handled; my M experience is with the M3, M2 (no longer owned) and M6. I’d meter with the attached MC meter on the M3 and experience gained with it resulted in confidence even with slide film’s narrow latitude. As you find, I never really had a problem with loading the M3 although I saw the advantages of the quick load take up spool when I got my M6 and I really appreciated the TTL exposure metering with the camera only being reliant on the battery for metering, although I really don’t like the smaller v/f and additional frame lines. On the subject of frame lines I was really surprised at the tighter crop of the M-A at the 50mm setting. At a quick guess it looks to be around 14-15%. This is far more than is needed to account for the slight loss of image area in a slide mount, and even commercial enlarger negative holders which I usually found cropped my 6×4″ prints far more than my own enlargers when doing my own b/w processing. I know that this “masking” was often given as an excuse for not showing the full image as seen in the viewfinder to allow for the cut-off. As an aside, I think I am correct in that a Nikon F was supposed to give a 100% view and of course if one composed the image without taking this into account for slides or printing, a shot could be ruined. Today, the plastic end of the wind on lever looks a little tacky, and its aesthetics compared to the all metal version is a matter of choice. For me, no. What is interesting about the early M3, the one with the double wind, is that Leica was concerned that a single wind could advance the film fast enough to cause static. But they had a change of heart and a single wind model followed. The same thinking pertained to the rewind, I believe. And I suspect that there was more merit in this argument at the time as the film could be rewound much faster and over a sustained period, unlike the knob rewind. I know most users would prefer the single wind, but I like my double wind as I can hold the camera in my right hand, take a photo and advance easily as the double wind has a short throw before it stops and thus provides a natural purchase for the thumb. Naturally, for safety, I used a wrist strap, but it meant I could walk normally with the camera held at hip level not attracting attention. A camera on a neck strap and held chest high more easily attracts attention. With both arms held normally, most people wouldn’t spot the camera in my right hand or, if they did, they did not realise that it was ready for action. Nowadays, this normally isn’t an issue, what with full sized hand-grips and rear thumb rests. The frame lines surprised me too – but I think the change happened after the m4. Have a look at your cameras – I’d be interested to hear back if there is as much of a difference, especially if you’ve not noticed before. Oddly, comparing the framing between M models isn’t something that has occurred to me; I simply assumed that a Leica, being a precision instrument, would be more or less constant across the range. So, yes, I’ll get them out and have a peep. It will also be an opportunity to throw my Canon 7, first model, into the mix and see if this is something that could put the cat amongst the pigeons. When Canon launched the 7 they clearly had the M3 in their sights so this comparison could be quite interesting. 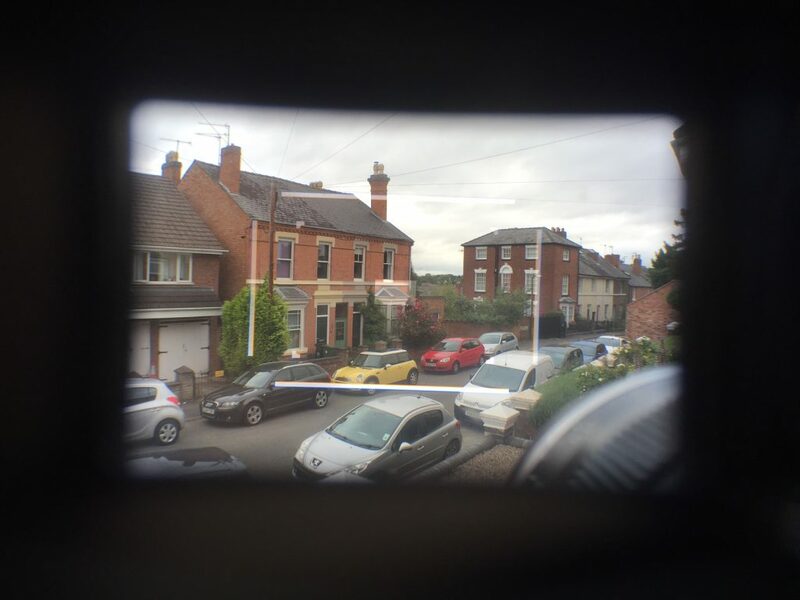 Whilst a metal pressure plate may have some impact on the potential for static, the actual reason why a glass version is used (which both Rollei and Zeiss provided for use in some of their models) is film flatness across the frame, and where high focusing precision is required across the film plane. Optically flat glass is far superior in this context than a pressed piece of metal. You could be right about the strain on the gearing but my recollection culled from one of my many Leica books is that Leica were concerned about the possibility of tearing the film. I’d be interested to hear your findings – especially adding the Canon into the mix. My mother always said I should learn to keep my mouth shut as one day it will get me into trouble! That day has finally arrived; thanks, Hamish. I will give it a go. I must say that as an M2 and M6 owner, I have never mis-loaded the M2, but I have managed to do that with the M6 at least twice… and it always seems like a bit of a lottery when I load a new film… Though saying that, perhaps I should have read the instructions, I just shoved a bit of film into the take up spool, I didn’t make sure there was enough to thread it around three prongs or whatever? I never mis-load the MP type 240 though :). I have to say, that my M6 has the .85 viewfinder and that has made me curious about the M3, flare is definitely an ongoing issue with the M6, though less of a problem with the M2. The film just needs to go right into the prongs, after that, as long as it’s all lined up in side the camera properly it should be fine. Close the back, fire a shot, if the rewind crank turns it’s loaded. If it doesn’t turn after you’ve taken two shots to zero the counter, it probably isn’t loaded. There’s nothing to worry about in terms of it being any kind of gamble, the mechanism is there to help you. The M3 finder is a real gem, there is no doubting that!! I have learned most of what I know about the differences between the M cameras here on 35mmc and it have led to me purchasing a M4-P, because its cheap reputation and solid build. But also that the ultimate M wich is either a black paint M2 or the M-A is an itch that must be scratched. If I didn’t care for looks of things I might as well don’t bother at all. That’s why we’re nitpicking on these tiny differences between the models. M5 being the best example of what BAD looks can do. The M4 wich I consider to be somewhat a model in the middle of the M series is surely one of the classics, but who cares? It’s a camera. To be used, felt and mabye fondled. 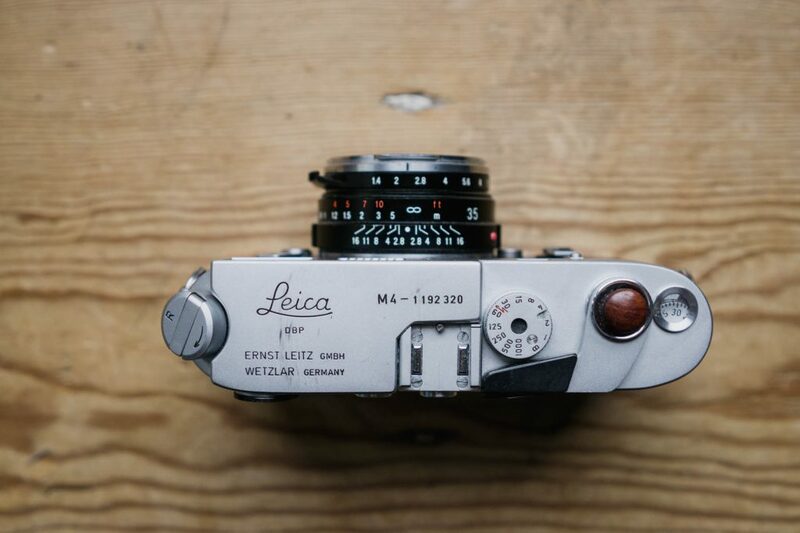 Now if only Leica were to release a black paint M-A – I’d be happily broke for some time. Thank you for the review. I’ve been waiting for it since you announced your intention to buy & test one. I had a M4, and during a period of personal crisis three years ago, I sold it. During the time I had my M4, I also had (and still do) an M2. My M2 was bought in a dusty antique shop in Vermont. I had it CLA’d, and got a call from the tech to inform me that someone had installed the M4 viewfinder in the M2. No rapid load (like the M2R), but still…why did a previous owner install the upgraded viewfinder? I’ll never know. These were my impressions. Side-by-side, they are almost identical in terms of weight and balance. I liked the M4 slanted re-wind knob, but I love the squared off edge of the M2; I can grasp the M2 in one hand and it snuggles up against my thumb & forefinger, much like a gunslinger. The internal film counter was/is a nice touch vs. the M2. But again, I’m not bothered by the need to re-set the flat dial on the M2. Rapid load? The M4 has it over the M2/M3 variants hands-down. You can purchase a rapid-load kit for the M2/M3 and is similar to the configuration on the M4. An old Leica hand told me that when he worked on a large daily newspaper, the photographers had extra film take-up spools pre loaded with Tri-X. When changing film, they just pulled out the film & take-up spool, and slid a new roll of film with the take-up spool attached. I use this practice w/my M2, but it’s still slower than the system in the M4. The M2/M3 have that nice, late mid-century industrial design, like an MGA. The M4’s design is like a MGB-GT. Same soul, different skin. The bottom line? I miss my M4, but I have replaced it with a M7 (crisis over.) I have the M2. As you stated, it comes down to personal preference, intangible Leica ‘quirks.’ I’d say that 99% of my photography is done with Ilford HP-5 & a 50mm lens. I guess I’m the classic, traditional Leica user. The M4 is a quietly, beautiful, refined classic tool. It has that Leica ‘feel & sound’ that somehow gives the user a confidence to expect they can handle almost any photographic situation that may come their way. But, both my M2 & M7 gives me the same confidence. Thanks for the article giving us a place to reply. The m2/m7 combo is definitely a sweet one. I loved my M7, and found that balance between sometimes shooting manual and sometimes using the autoexposure very pleasing. In the end, manual won out and – would you believe – I started using the m7 without batteries just at 1/125. Though I must admit that started because I just forgot to put batteries in. After a while, I realised I just didn’t miss the meter and decided it was time to move on and stick with the fully manual approach. Sometimes I regret the move, but for the most part I’m very happy with the current set up. Anyway, this has gone a little on a tangent. Great review! Love reading these articles! From what I’ve learned the switch to a sinc body on the M6 wasn’t to cut expenses. It was actually more expensive, but both tougher and lighter. That’s really interesting – have you a reference? I have in the past tried to find I for about this, but come unstuck. I guess one way or another it didn’t work out as the chrome finish seems to bobble long term… But it’s very interesting that the motivations might have been different to what I’ve understood. My ‘mutant’ M2 does have the classic M4 frame lines…I’m intrigued by your current practice via the M7. Looking forward to your article on this unique approach. One thing that should be mentioned about the M line up to the M5. These cameras were build for convenience, not for speed. For all intents and purposes, there was no means for rapid film advance. Heck, you had to show your journalistic credentials to Leica to purchase the original MP’s with the thumb operated film advance. So, IMHO, advancements & refinements on the M/2/3/4 lines were done to reflect feedback from photographers in the field, changes in manufacturing and materials (up to the M4.) This design approach was not driven by market research, but by field data. The M4 design was the epitome of all those years of usage. The M5 was introduced to stay current with the products coming from the Japanese. We have all benefited by this evolution of the Leica. Think of it, we have Leica, Zeiss and Voigtlander providing modern optics that will fit on camera dating back to 1957. It’s a good time to shoot w/a Leica; film or digital. Thnaks for letting me finish my rant. I sold the M7 – are you talking about my comment above? I just shot it at 1/125 and relied on a combination of changing the aperture and film latitude. My M7 review is here if you are interested – I do talk about how I used it with batteries. 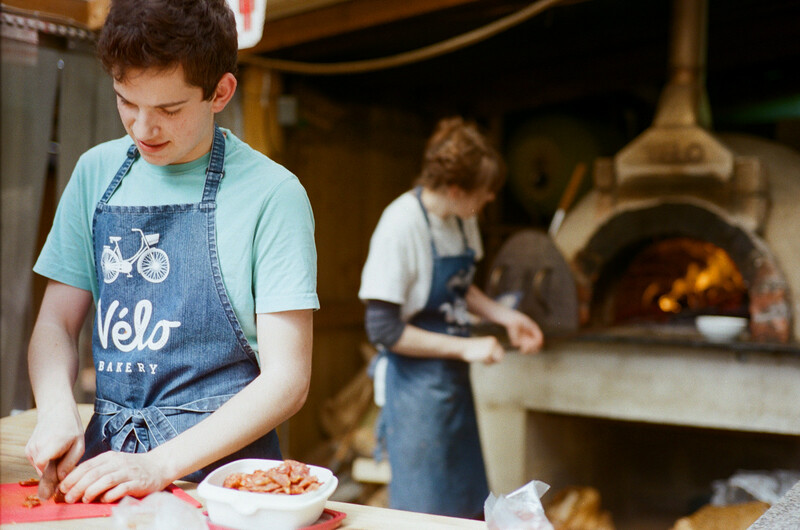 “It’s a good time to shoot w/a Leica; film or digital.” – completely agree! “Thnaks for letting me finish my rant.” – I like a rant, your welcome to share any time! Always worth another look at Garry Winogrand’s M4. Look at that pressure plate! Hamish – a great take on the M4. Comparing the Ms can be a bit of a mind-numbing task and I would not be overly critical of an uninteresting or routine comparison, however, you waffled quite eloquently through this one and kept my full attention! A very enjoyable and informative read. Cheers! So, enjoy the remainder of your weekend w/your family & friends! Don’t spend anymore time now replying. One other improvement in the M4 over the M2 is that the mask in front of the viewfinder on the M4 is larger and more rounded on the top and bottom. 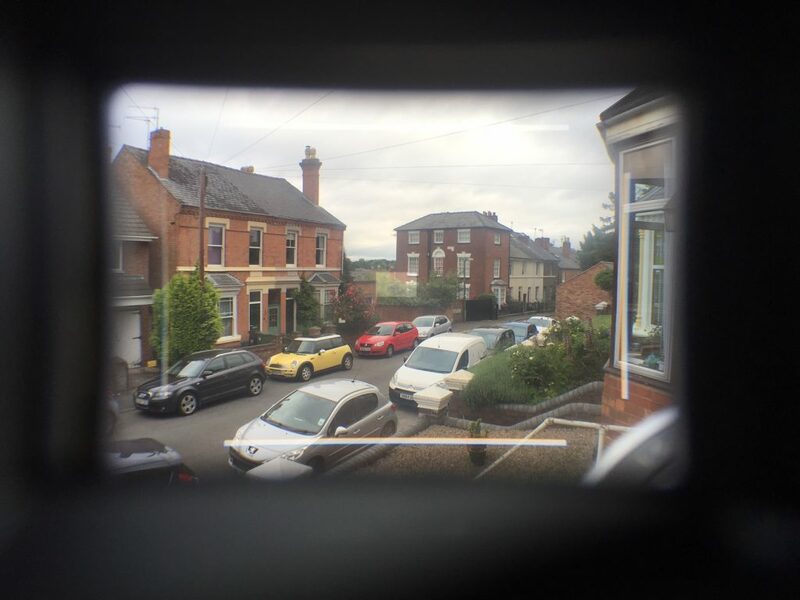 This makes a big difference in the ability to see the 35mm frame lines with glasses. That may sound like a minor thing, but I tried using 35mm on an M2 briefly and found it very frustrating that the mask blocked my view of the framelines. Always enjoy your reviews and your site. Just a newbie and hobbyist. 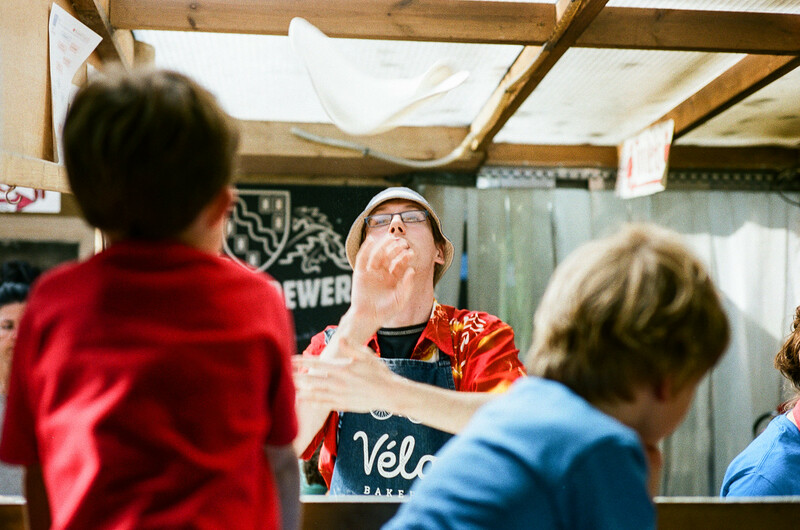 I shoot film preferentially and digital to make sure I get the shot at family events. The closest I get to the Leica is my Olympus 35RC, love the compact feel and tactile nature of film and rangefinders. What model would you and others recommend as a “starter” Leica for one who has a pretty good understanding of exposure, but who has a skeptical wife and a budget!!? Thanks for your insights and great work on this blog. I’d like the convenience of metering, aperture priority and I usually use a 50mm, 35mm or 28-70 zoom on my SLRs. Thanks for your advice. Thanks Terry and Hamish for your insights. I’m leaning towards the Minolta cle or the Voigtlander. I think either one will win the budget battle at home! Have a read of my Voigtlander R2a review – you cant go far wrong!! Excellent coverage in your reviews, just the sort of info and detail one would want when considering a purchase. As Marty threw into the mix the excellent Minolta CLE, here is a link to Ken Rockwell’s comprehensive review of it. Like him or loathe him, this seems to be a pretty fair assessment, pointing out its many idiosyncracies that could have a significant bearing on using one, particularly the lens framing issue. However, if one sticks to the bespoke Leica CL/ Minolta CLE lens range this won’t be an issue. Although in this respect the Voigtlander wins hands down. If you simply must have a Leica, then Hamish’s suggestions are fair to follow, but do bear in mind the cost if you also want to use Leica glass. With no disrespect to your 35RC you are looking at a completely different ball game. You will be limited to Leica L39 lenses, unlike an M series with its bayonet mount and which with an adapter is more versatile as it can use the L39 lenses as well. However, there are numerous screw lenses available at moderate prices, even from Leica, but looking further afield, there is the excellent range of Voigtlanders, two Russian wide angles worth mentioning, the 28mm Orion and 35mm Jupiter 12 (copy of the Zeiss Biogon) but the f2 50mm Jupiter I find OK but nothing that special. And don’t overlook Canon screw lenses, either. You have two choices based upon your parameters: the Leica M7 or the Minolta CLE. Hamish is smarter than me, he’s listed other great camera choices. Good luck w/your quest. BTW, how can you have skeptical budget? Dan, thanks for correcting my lousy American English! I should have said skeptical wife and wife-limited budget. Thanks, Dan. I did take it as humorous. Appreciate your courtesy! Have a great day. Now I have to get back to convincing my wife that a Minolta CLE is best thing since sliced bread! great review. surprised no mention of gary winnogrand. i have used, owned, traded; m2-3-4-5-6-7. kept m4. traded, sold 3 different m6’s. the classic version with sun on side, had such blinding glare. did not care much for the m3 in use. to hold, or admire it was like the others, obsessive. m7 a wonderful camera. regret selling. m2, not so much. but my favorite the m4, dropped once and the rewind mechanism totally bent. dag fixed it as well as shattered rangefinder window. i find i have to be careful when winding film. if i don’t feed it into and check it at times it will misload, or not load. must have had a defective m7. i’d sometimes get sprocked hole exposures on my film. no matter how careful i tried the film during exposure sometimes would do this. I have either owned or tried MP, M7, M6, M3, M2 and M4. Ultimately I kept the M4. It is lighter and smaller than MP/M-A/M7 although I fantasise sometimes it would be nice to have a light meter. Its a jewel of a camera that never lets me down. I may get an MP at some point though for use with a 28mm Elmarit ASPH. M-A hadn’t been released when I made the choice. Looks to be very nice, although at the end of the day it is essentially a Leica MP without a light meter…. I was lucky enough to pick up an M4 in mint condition for a very good price, which after a CLA at CRR Luton, is all the Leica I really need. p.s. Plus, being a 35mm and 50mm lens shooter the M4 offers the right balance for me given the 35mm framelines basically fill the viewfinder, and as you have pointed out the 50mm lines are slightly larger than in the M6/MP, etc. It is sooo tempting though to get a new camera and you lovely pics of the M-A are very enticing! What is the difference between the m4 and the m4p i dont really understand the reason to buy one over the other. Whats best? The M4 is made in the traditional way with brass internal components – it has 4 frame lines. The M4-P is made with more modern precision steel parts and has 6 frame lines. Neither is better – it just depends on what lenses you want to shoot really. You can find it. My site is basically aimed around a ‘Photographer’s Guide to Bangkok’ (Mainly film based but also covering digital) and my work but it’s also become a bit of an old high-end German camera review blog here and there from time to time also. Click the banner at the top of that page or just look around the blog there for my write ups on the M3 and M2 also. Just in case it helps anybody understand the differences when considering a purchase. Have a good day.